When our oldest started kindergarten, her school would send home flash cards. 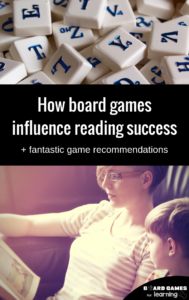 But both as a former teacher and as someone who knows a lot about learning styles and how kids’ minds work, I knew that would never give her a firm grasp on building sentences or knowing words. So instead, we supplemented how she was taught with my first Bananagrams to learn sight words and sentence structure. 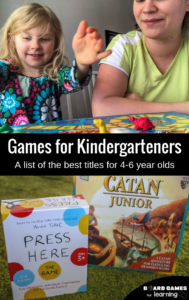 What actually happened early in her kindergarten experience is that our family went to another kindergartener’s house and the adults played regular bananagrams. Ironically enough over the few days after, both girls independently created their own versions with paper and scissors. So naturally, when Jenn’s birthday came around, her friend was thoughtful enough to gift us this great letter game. Have students build sentences with letter tiles, demonstrating understanding of letter and words spacing. On written sight word cards in capital letters, have kids replicate each word with the lowercase tiles. Play in teams. Have the whole team of 3-4 people work together to get their tiles to form connecting words, then have them do a tag team type of relay where each child then works independently as they have to add a new tile. 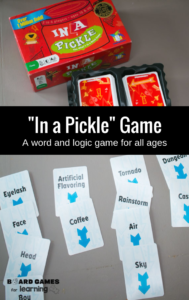 It’s not nearly as fun as regular bananagrams, however for kids it’s a great introduction to creating words with the critical thinking element of having to rearrange their letter board when they draw a new tile. An interesting twist and element is the two letter tiles because you obviously know you’re drawing one, but kids should strategize if it’s worth it or not; it could be the “ee” but it could also be “qu” so they have to weigh their options. Beyond just playing the cross-word letter board style of bananagrams, there are a lot of a fun and useful ways to use the My First Bananagrams tiles. First and foremost, one of the reasons we like them is that they are in lowercase. And they use the underline to denote if it’s an n, u, w, m, etc.. This is good practice that a lot of kids don’t get in real life because so much of the world is in uppercase from street signs to book covers and more. Whether using these as manipulatives or playing the game, kids get practice with the two-square tiles. 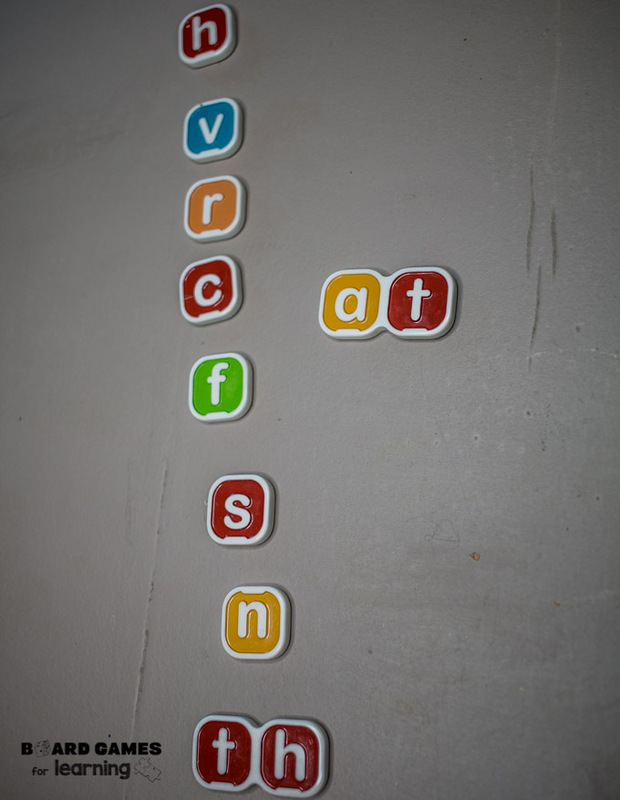 We also have our kids call out the sound of the letters as they play with or use them. 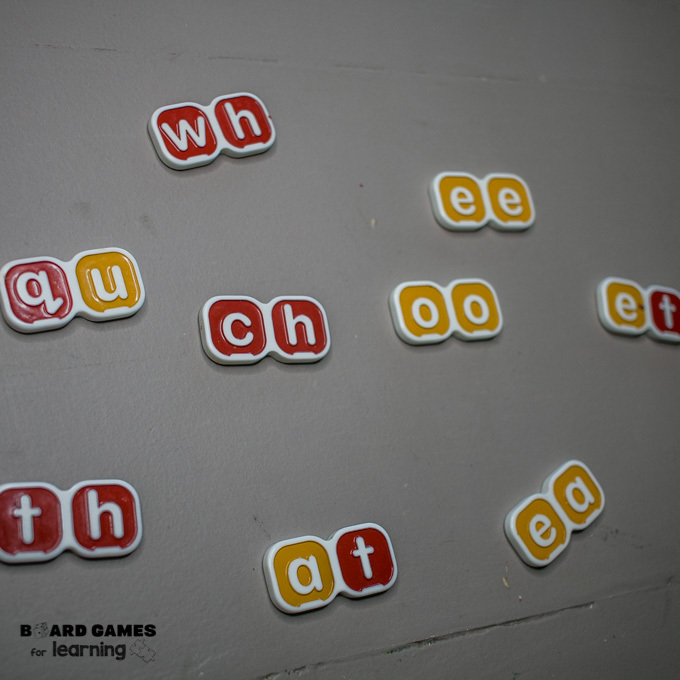 Before playing a game, sometimes it’s nice to set up a series of starting letters and sounds with an ending sound like “at” and have kids move the “at” tile sounding out the words as they go. In kindergarten, one the best things we did the the tiles is help Jenn understand letter spacing. She could easily spell, sound out, and read words. However, when writing, it was one big stream of letters. 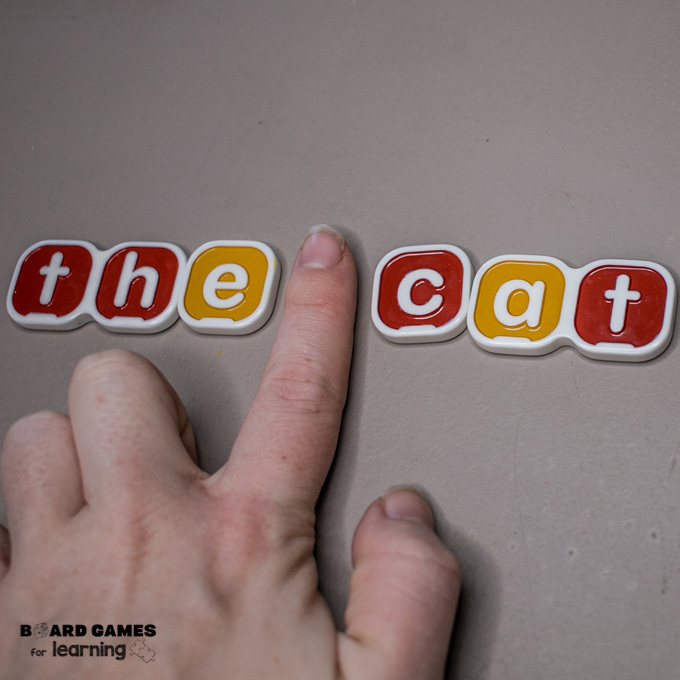 Most kids are taught a finger space, but working with something tangible instead of letters on a page, it was easier for her to grasp that either a finger or the white part of a flipped over tile comprised a space to separate words. 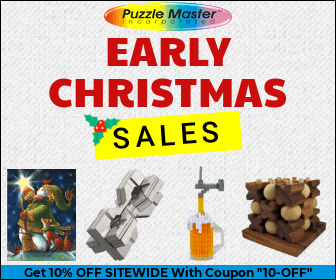 Of course, this version can be played just like the larger version, expect that you have to find ways to incorporate the double tiles into your letter map. 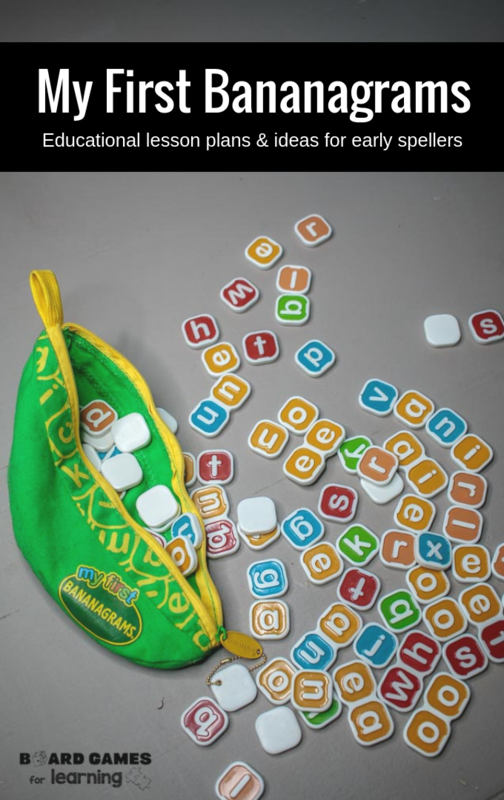 We prefer mostly to use the bananagrams tiles as manipulatives to make working through spelling and sentence formation a little more engaging and the possibilities are endless as to how the tiles can be used.